Well, now, I guess those “feed lots” don’t know as much as they lead you to believe. Why, oh why, am I surprised at this? And, what exactly does that say about me that I am surprised by their misguided information, if we want to get down to it? ANYWAYS, remember those rescues? Those wild horses? 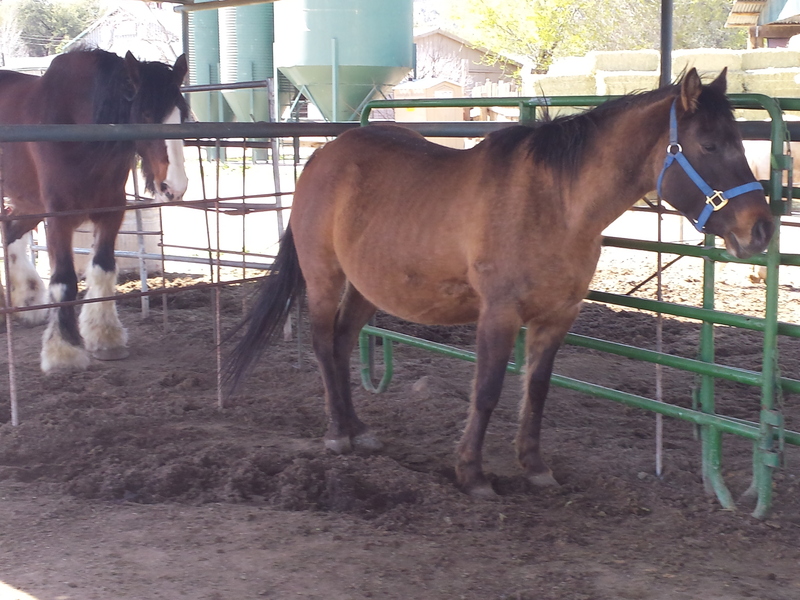 The pregnant mama that was due “any day now”. Yes, we are still waiting. Poor mamacita. She is so big and looks so ready to birth. Maybe she is nervous. Protective. And holding off. But it’s coming. My little girl asks every morning after I feed, “did she have the baby?” like a kid on Christmas morning asking if Santa came. Every morning, I head out to feed, feeling also like a child on that same Christmas morning. And then I see that she has not foaled. But is still healthy and happy. And I toss her just a bit more feed than I am “supposed” to. Hey, pregnancy is not easy. A little extra food is the LEAST I can do here. So…since we have to pass the time here. And the anticipation is killing us. We have the “guess the birthdate raffle” extravaganza. Dollar for a guess. 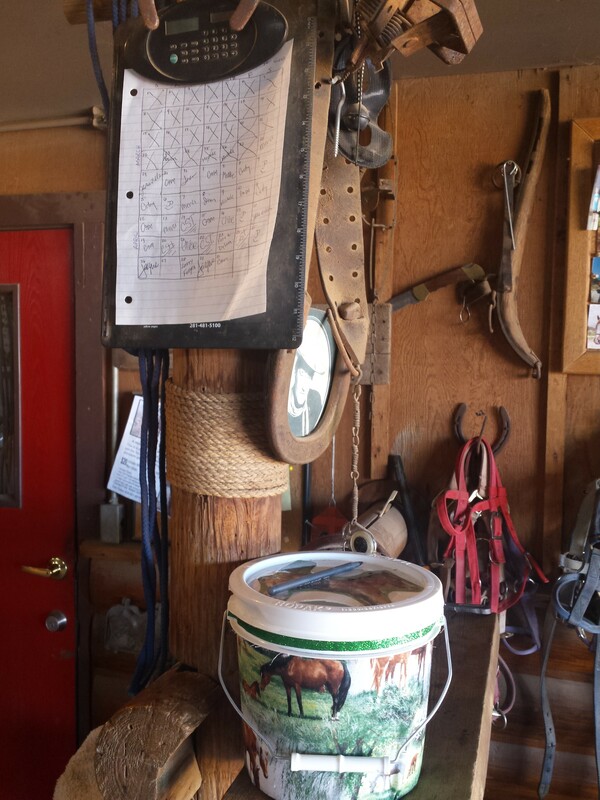 Just sign your name on the square, drop your dollar in the lovely re-purposed psyllium bucket. Winner gets the money pot and names the baby! When is baby coming??? I’d rather bet my dollar that she is healthy, happy and comfortable in this process. But, in the meantime, we can have some fun, right? Oh, sweet mama. 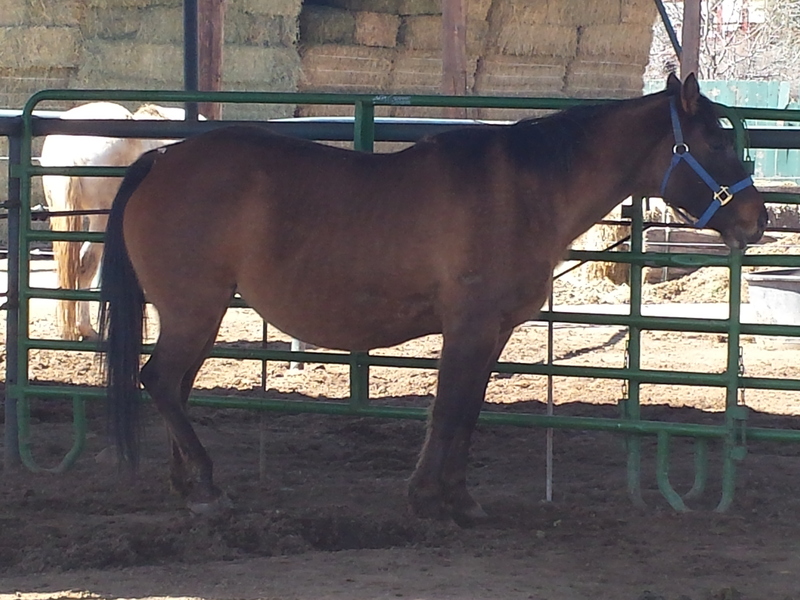 And soon-to-be-baby. You were both destined to slaughter. But rescued. While your future is still so unknown, as all of ours are, we gaze upon you with grace and love everyday knowing that you both will know a better future. No matter the time it takes. Nothing can be rushed. Thank you for teaching us this. Oh isn’t she beautiful! Hopefully that baby will arrive soon and charm everyone! Does whoever wins the sweepstake get to name the foal? Yes, winner picks the name 🙂 Any suggestions in case we win? !